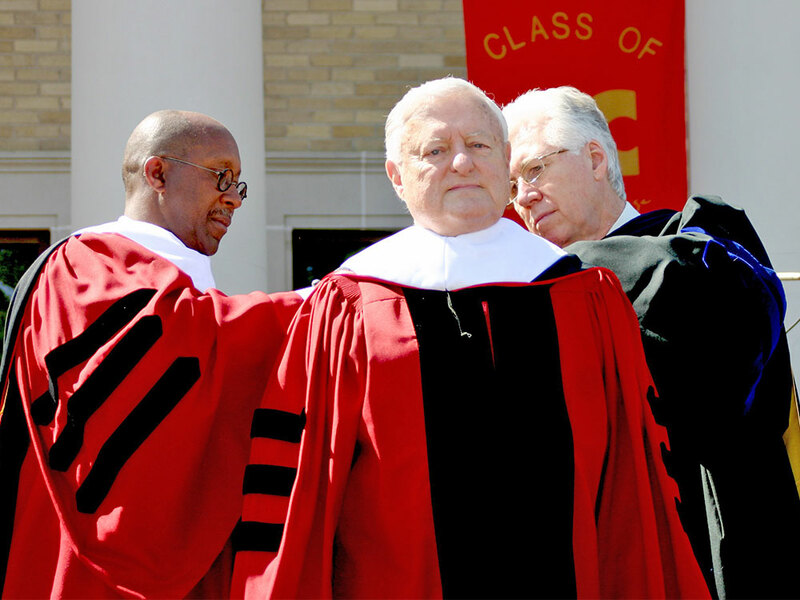 The Austin College community mourns the loss of a longtime friend and significant advocate in the death of former Board of Trustees chair Robert J. Wright on January 17 in Dallas. He was 91. The community extends sympathy and condolences to his wife, Mary, of 68 years; to his son, Michael, also a senior trustee of Austin College; and to their entire family. 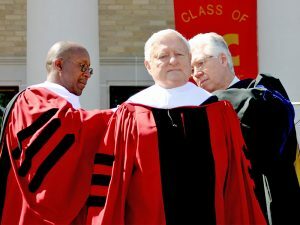 Wright, who joined the Austin College Board in 1983, served as chair from 1997 to 2007 and continued on the senior board until his death. A memorial service will be held at 11 a.m. January 30, 2019, at Preston Hollow Presbyterian Church, 9800 Preston Road, Dallas, Texas 75230. In lieu of flowers, donations may be made to Austin College, Austin Presbyterian Theological Seminary, Preston Hollow Presbyterian Church Foundation, or TCU. See the family’s full obituary and offer condolences through the online guest book. A respected Dallas business leader and philanthropist, Robert Wright’s name is perhaps one of the most recognized on the Austin College campus, with the Robert J. and Mary Wright Campus Center a focus of daily life. 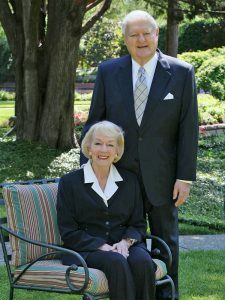 Students may be less aware of other places the significant generosity of Bob and his wife, Mary, may be found on campus, including the Mary Wright Visiting Artist Program, the Robert J. Wright Health Sciences Program, and several endowed named scholarships. They also supported numerous other scholarship programs as well as Apple Stadium, Collins Alumni Center, the IDEA Center, and the President’s Home addition and renovation. Most recently, the Wrights were key donors in the creation of Oscar C. Page Atrium in the IDEA Center and Bob delighted in being present to witness the surprise announcement. 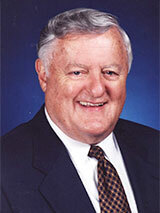 Bob was honored with the College’s Toddie Lee Wynne Award for Distinguished Service to Austin College in 1990. He also received an honorary Doctor of Humane Letters from Austin College in 2006. During the construction of the Betsy Dennis Forster Art Studio Complex, members of the Board of Trustees named the Kellye Wright Samuelson Digital & Photographic Art Center for Bob and Mary’s daughter who died in 2004. 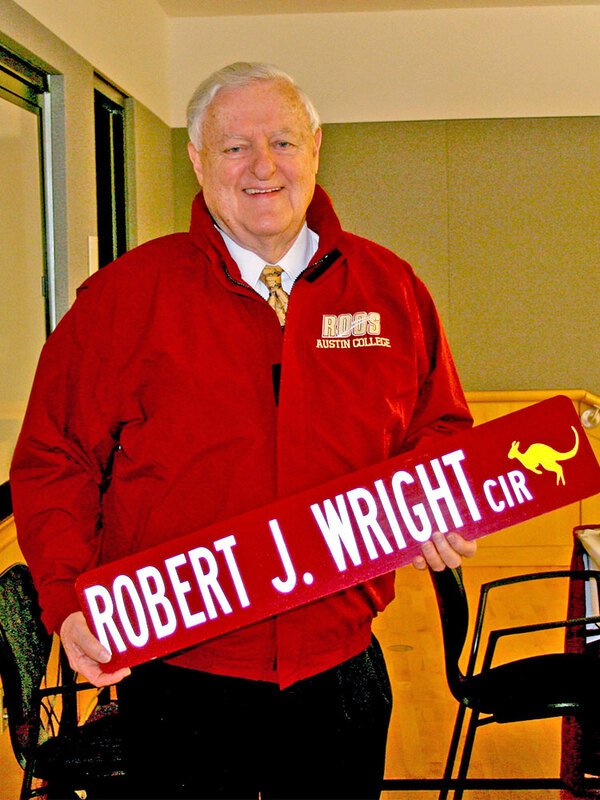 Upon Bob’s retirement as board chair, Student Assembly passed a resolution naming the drive leading into Wright Campus Center and under the portico of Hallam Arrival Court as “Robert J. Wright Circle” and presented him a street sign like the one posted on campus. The greater Austin College community and the campus itself bear witness to the generosity, vision, and leadership of Robert Wright. His legacy will long remain.